As our lengthy sojourn in the United States extends into 2012, we continue to want to share our experiences here with our Salon friends around the world. 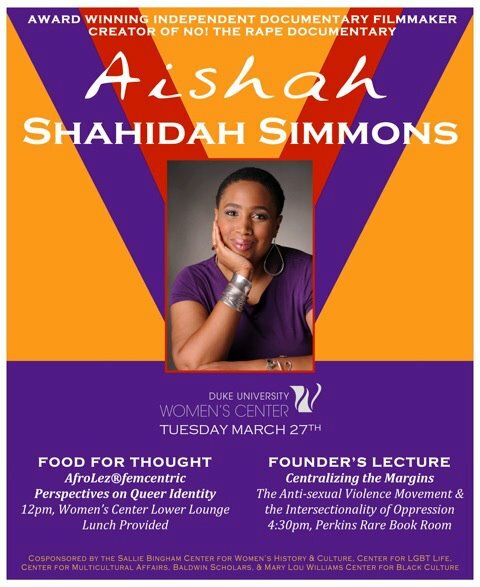 Our latest adventure has been a week-long road trip through the American South, including visits with family and friends as well as a day at Duke University, where we attended two events featuring Aishah Shahidah Simmons, who had been invited by the Duke University Women's Center to give a lunch-time talk as well as this year's Founder's Lecture. Aishah's powerful, moving lecture forcefully challenged the many intersections of race, gender, and sexuality with politics and power in the US, and we very much hope that we will be able to share audio of the talk with you soon. The most recent highlight of our trip was a visit to the Snow Hill Institute in Snow Hill, Alabama. The Snow Hill Institute was established by William J. Edwards in 1893 to educate young African Americans in the rural Snow Hill area, most of whom came from poor tenant-farming families and, without the Snow Hill Institute, would have little opportunity for schooling. Donald P. Stone, grandson of the Institute's founder, is a life-long friend of Michael's and was a fellow activist in the Student Nonviolent Coordinating Committee (SNCC) during the civil rights movement. During our visit, Stone shared much about the history of the Institute, the mission and vision of those who established and supported it, as well as the history and work of his family members and the community that grew up around the Institute. Donald P. Stone (left) discussing the history of the Snow Hill Institute with Michael Simmons. The Institute's main building can be seen in the background. There is a great deal of restoration and documentary work to be done to preserve the history of the Institute, which closed in 1973. Some of the history is captured in two books published by Donald Stone. The first is his own, Fallen Prince: William James Edwards, Black Education, and the Guest for Afro-American Nationality, and the second is a replica edition of a volume authored by founder William J. Edwards, Twenty-five years in the Black Belt. We expect to write more about Snow Hill and post more of the many photos we took during our visit in the coming days.